Vector image set with geometric compositions. Groups of overlapping circles and dots in different bright colors. Abstract decorations for posters, flyers, wallpapers, backgrounds, clothing prints, banners and stickers visuals. 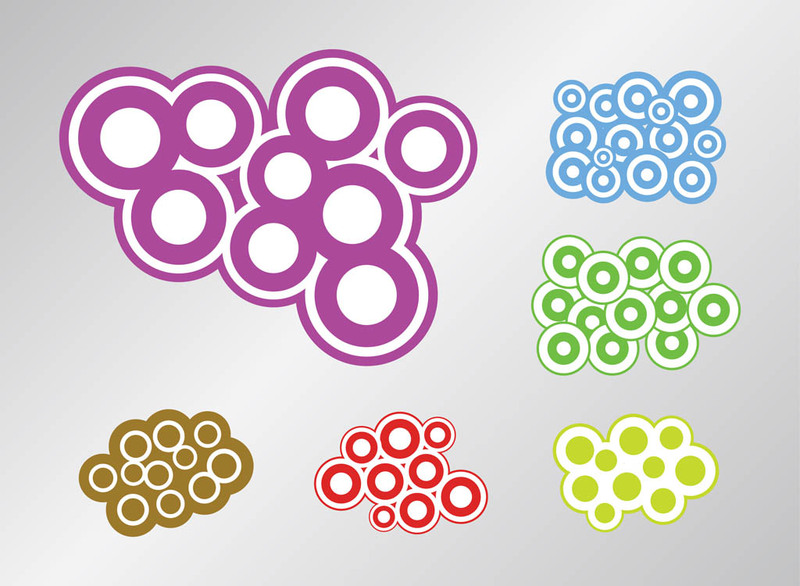 Free vector circles for geometry, modern art and abstract designs. Tags: Abstract, Decorations, Decorative, Geometric Shapes, Retro, Round, Stickers.